Kick off Banned Books Week with author and Lecturer of English at Old Dominion University Alicia DeFonzo. 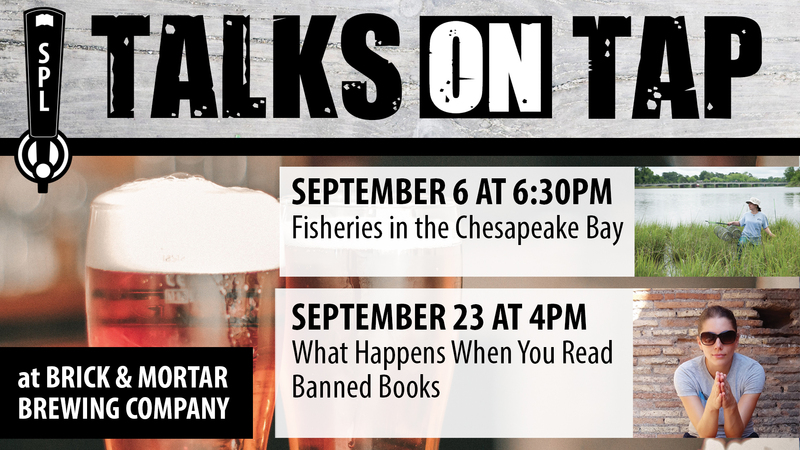 Enjoy an afternoon at Brick & Mortar Brewery while exploring the topic of censorship in literature. Alicia DeFonzo is a Lecturer of English at Old Dominion University where she earned an MFA in Non-Fiction under biographer Blake Bailey. In 2014, she received The Gettysburg Review Conference Award in Non-Fiction for her narrative work which retraces her grandfather’s tour as an Army combat engineer in WWII Europe. She is presently transforming her narrative into a podcast, which incorporates raw interviews with combat veterans. DeFonzo has been published in War, Literature, and the Arts, O-Dark-Thirty, Gravel Magazine, The Montreal Review, and Extract(s) and is a frequent guest and contributing writer to local and national NPR.